The title of the newest track from Kate Tempest, “Bad Place For A Good Time”, is an apropos introduction to the South London lyricist. With all of the talk of white appropriation of black culture—specifically by certain female rappers—in 2014, seeking your musical enlightenment from a white novelist who has been remixed by Mike Skinner could be seen as less than auspicious. But with every raised eyebrow Tempest may raise, she eloquently, and systematically lowers them with each brilliantly delivered line. On “Bad Place For A Good Time”, the Mercury Prize nominee and one of Poetry Society’s Next Generation Poets finds herself in a maudlin setting; she “Can’t take the stench anymore,” as “Life has her hands on her pistol.” Definitely a bad place. But as the title suggests, a good time is coming in the way of a beat drop around the 1:45-minute mark. Steadily progressing, the message gets more positive, but the surroundings never change. Her dissonant cadence is our marching beat, leaving the listener uneasily waiting for might be dripping around each corner. “Bad Place For A Good Time” is available on a 7″ single via Ninja Tune. 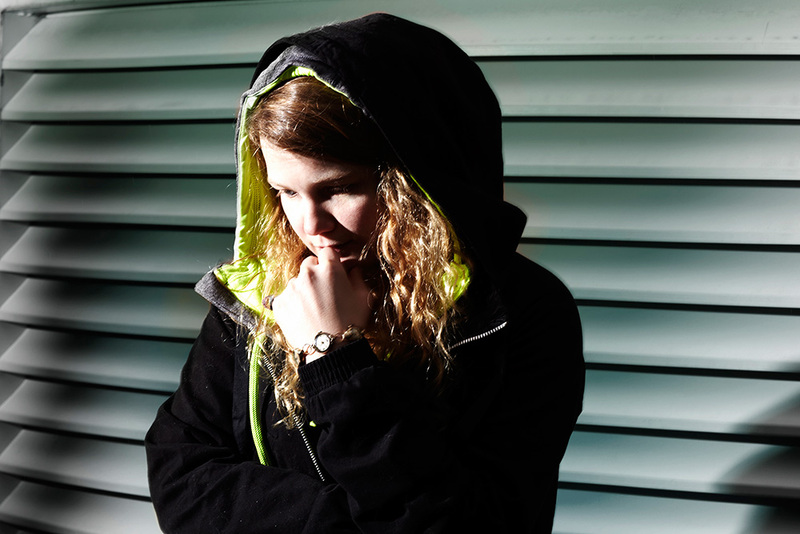 You can stream the song below, and for more on Kate Tempest, check out our feature interview. Derek Evers is the founder and publisher of Impose Magazine. He also puts out records on various imprint labels.